KG Accountants is a south London based firm of accountants who work with a number of small charities in Central London. We currently work throughout the whole of Central London including City of London, Westminster, Tower hamlets, Charing cross, Trafalgar Square, White Hall, Islington, and Camden. Over the years, we have developed our specialist knowledge of this sector which has allowed us offer a high quality service at an affordable price. We are able to offer a wide range of services tailored to your needs and have helped a number of our small charity clients grow and flourish. 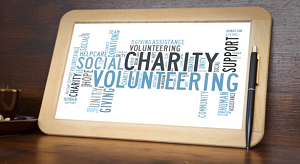 We now work a wide range of clients from small community charities with turnovers of less that £10,000 up to medium and Large charities who work across England and Wales. All our fees are agreed in advance on a fixed basis. By giving you a fixed and competitive price, we can take the worry away when it comes to managing the finances of the charity; allowing you to concentrate on changing people Lives and making a huge difference. Call us today on 0208 679 4690 or complete our enquiry form in order to book a FREE initial consultation. If you would like more information or would like to ask us a question then call us on 0208 679 4690. To ask us a question online click here. KG Accountants provide a wide range of Accountancy and Taxation services including completing and filing your tax returns, Accounts, payroll, bookkeeping and VAT at a reasonable price.